This year, I had a seriously busy schedule, but had to take the Friday off as I was so tired from travelling from Zante the day before. But on Saturday I was ready and raring to go! My first presentation was from Min Wu, an emerging womenswear designer who debuted her SS16 collection and fashion film Adjusting/Healing at the BFC Presentation Space, The Mall. 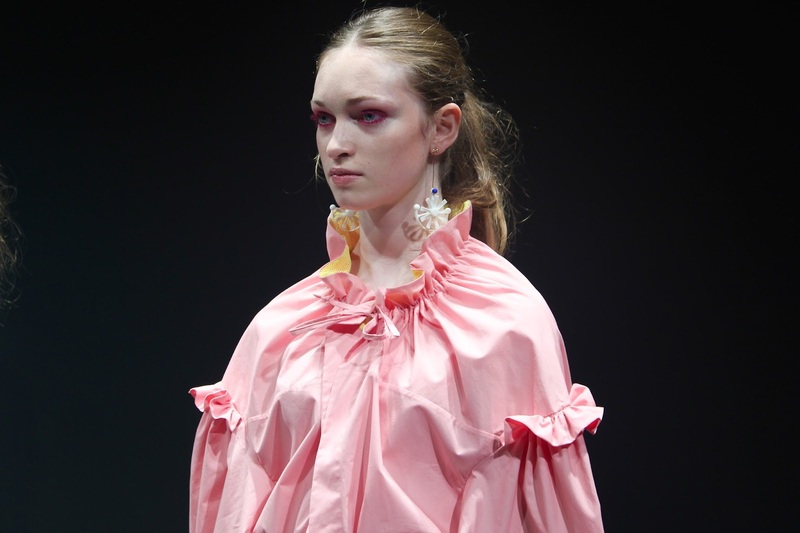 Min Wu graduated from London College of Fashion in 2013 and went on to become one of ten finalists chosen to present at the LCF MA showcase. In February 2014, Wu launched her first collection with Fashion Scout during London Fashion Week and was invited to The British Council's International Fashion Show Case as a representative of a new generation of Chinese fashion designer. This collection draws on the human body, and the fragility and strength of the structure of muscles. Wu uses clean cut tailoring and fabrics to create sophisticated structured silhouettes. 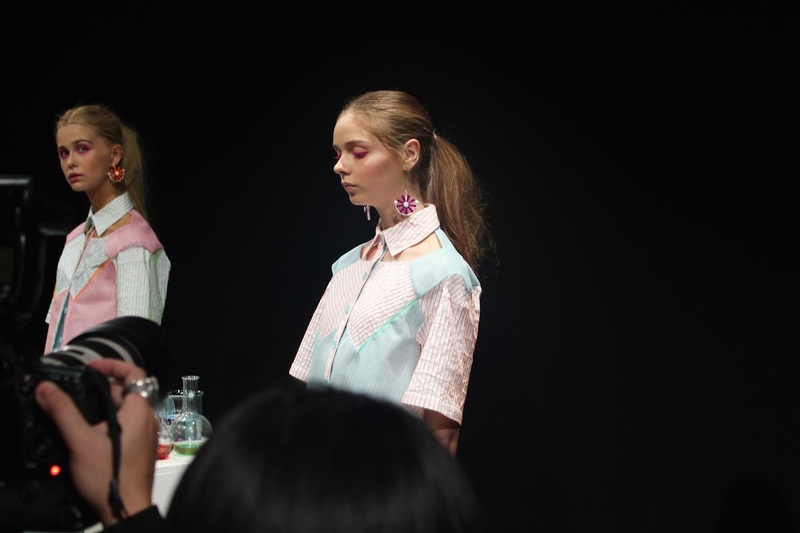 The models stood around tables with lab bottles and vials on them filled with different coloured liquids. Candy coloured garments hung beautifully from their bodies with cut outs showing off collarbones and mesh linings to ruffs. Digital watercolour dots covered white tops and dress tied together with buckles and straps. My favourite was one of these dresses with a beautiful back with the straps held with coloured plastic acetate. The acetate continued into the awesome backpacks and sandals.